Let’s take a break from waffles and talk about scrambles for breakfast. 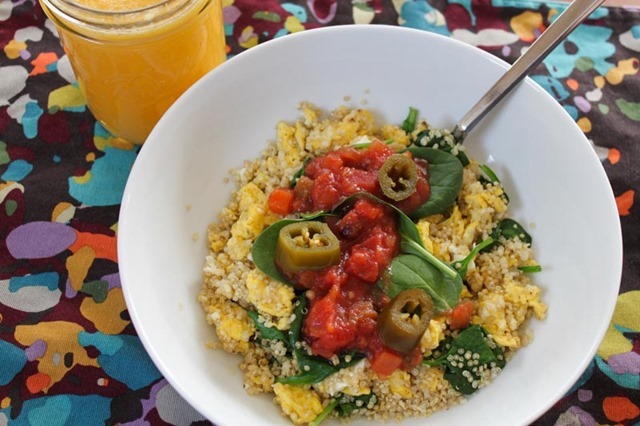 This recipe combines all of my favorite things about a leisurely weekend breakfast – eggs, cheese, ans salsa – but it’s totally healthy, full of protein and vitamins, and super filling. 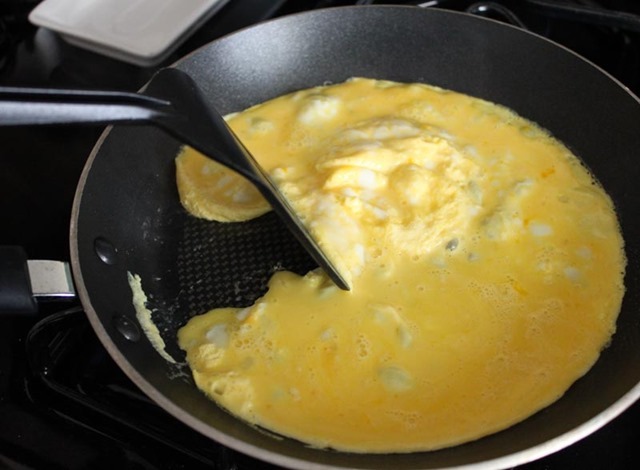 Heat a skillet over medium heat, spray with cooking spray, and add the eggs. Wait 30 seconds or so and then begin gently moving the raw egg away from the edge of the pan to form big, soft pieces of cooked egg in the center. 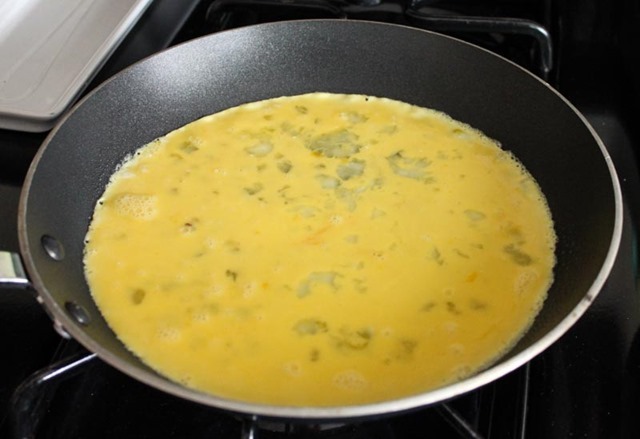 Continue until the eggs are mostly cooked (2-3 minutes). 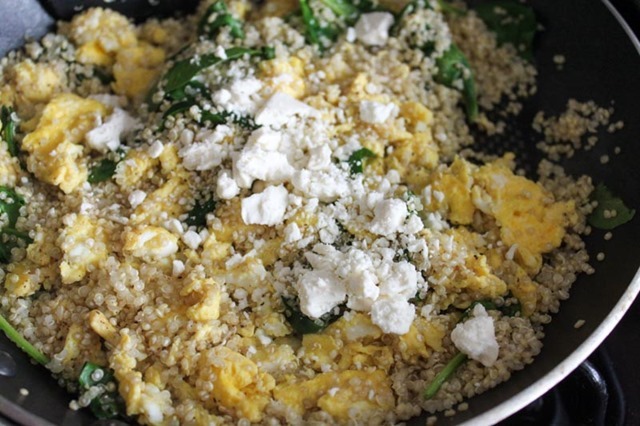 Add the spinach, quinoa, and feta on top of the cooked egg and stir to combine. 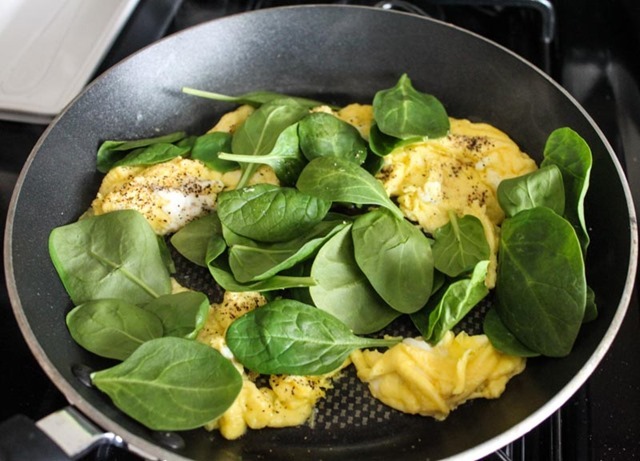 Plate the scramble in a big bowl topped with your favorite egg toppings – mine are fresh spinach, salsa, and jalapenos. 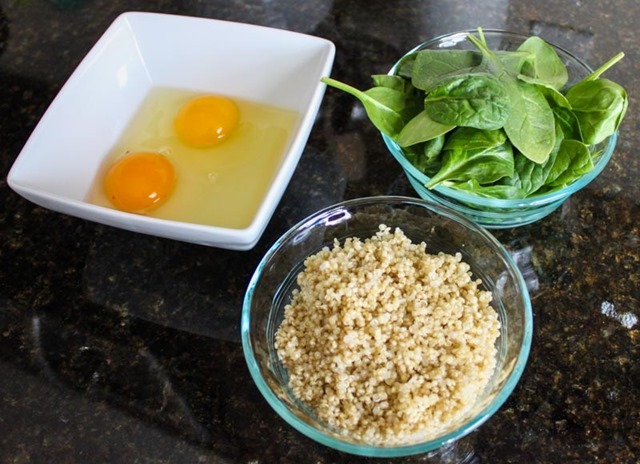 This recipe is really simple, I know, but it’s a great alternative to a big heavy breakfast or the same old eggs and toast. Happy scramblin’! 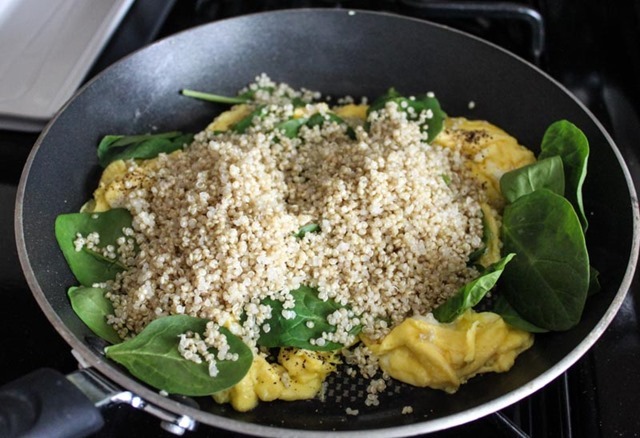 I have leftover quinoa from last night! Saturday morning’s breakfast decided! Woot! Let me know how it turns out!